Format wars are nothing new in the technology industry. We've seen battles on a number of different fronts ranging from 3D graphics APIs (DirectX, OpenGL, Glide) and external bus transfer protocols (FireWire versus USB) to more recently, Blu-ray versus HD DVD. More often than not, a winner eventually emerges but it doesn't always happen overnight. Such is likely to be the case with wireless charging standards. At present, there are two main competitors vying to go mainstream: Qi and PMA. Until a winner is decided, it seems the best move for charger makers is to simply support both standards. ChargeSpot Wireless Power Inc. recently announced the availability of ChargeSpot Pocket, the first wireless charger that supports both standards. The device is designed for use in public spaces as it installs beneath the surface of a table or desk - completely hidden from sight. 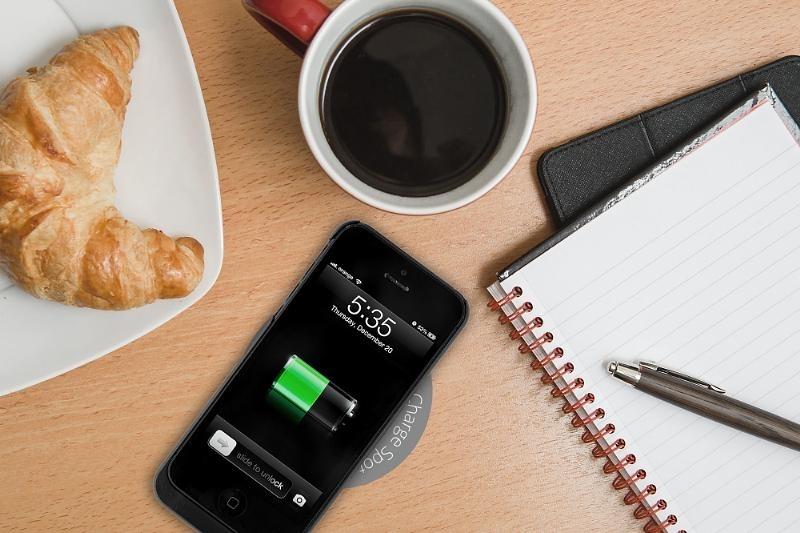 In settings like offices, hotels, cafes and airports, users can simply place their phone over a designated wireless charging area to top off their battery. What's more, the ChargeSpot Pocket is available with a network connection so businesses can monitor usage. Such data could be helpful for business owners as it'd let them know if customers are actively using the service and if they need to expand to meet high demand. Wireless charging is still in its infancy but it's good to see companies like this trying to move innovation forward.